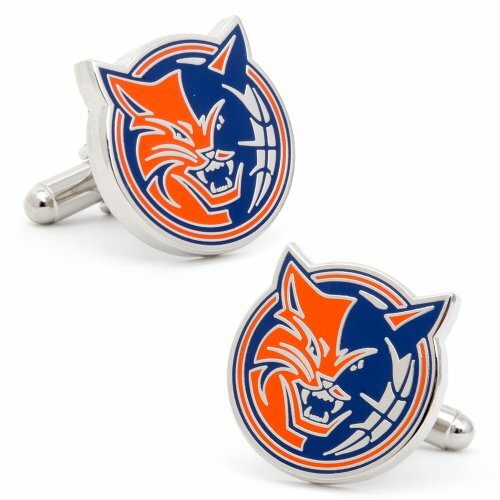 Officially licensed NBA Charlotte Bobcats Cufflinks. Constructed of rhodium plated metal and bold orange and blue enamel. Cufflinks measure approximately 3/4" in diameter and come with exclusive NBA gift box, making them a great gift. Pick up a pair for your favorite Bobcats fan today. Officially licensed NBA Cufflinks.